In the darkness, I stir from my dreams and my thoughts begin to sneak in. Like a bully, they force themselves into my slumber and I awake. Before I know it, my mind is racing with the same thoughts that I've contemplated time and time again. When I've worn myself down to exhaustion, I begin to flirt with sleep. My routine thoughts are slowly replaced with things so random and so unreal ... it jolts me to reality once again. Damn it! I had almost succumbed to sleep, but recognizing that my arrival at work without any shoes wasn't really happening has me awake again! Our minds are like computers, always processing our thoughts and experiences. It seems that since we finally sold our two houses, my mind is constantly calculating our next move. Selling everything and moving onto a boat to sail away and "live the dream" requires a strategy when you're not financially independent. At almost 50 years old, Ken and I don't want to sail through our entire life savings while cruising. It wouldn't be hard to do. While I lay in bed, I constantly run the numbers. Okay let's go through this again ... we'll budget $1500 per month, which will mostly come from rental income. We'll have a small amount of savings for rental repairs and those times when our rental is vacant (we have a vacant rental as I write this, and working on repairs). We'll use a portion of the money from the house sales to get our sailboat ready for cruising (solar panels, generator, ground tackle, etc.). How much will that cost?! Is our budget realistic? The remainder of the house money ... we can't touch it! That money has to be around for later years. Is that possible? Surely not. What if the boat engine needs replacing or we need new rigging? How long will our sails last? What if our rudder falls off? What if our boat becomes a money pit?! Okay, well maybe we'll have to dip into that money every now and then ... but first we'll try to pick up income along the way. After all, Ken and I are both smart and he can build a house for God's sake! We've got some ideas that we're keeping to ourselves for now. Yeah, we'll be okay .... right? Okay, well maybe if we just dip into that money just a LITTLE bit every year. We'll invest the money, so we should be able to make as much as we take out. So taking a little bit every now and then to fill in the gaps won't be so bad ... if we make the right investment. Where do we invest? The stock market is volatile, but if we're patient and stay in for the long haul we may be okay. But another "correction" is sure to be overdue. So perhaps a CD ... that's a joke these days. Okay, but if we keep our rentals they'll eventually be worth more and provide more income. We could sell those someday ... but then we'd have to add all those years of depreciation to the profit for the tax man. Are you exhausted yet? Are you keeping up? Oh, my mind! These are the thoughts that torment me every night. One thing is certain ... we don't want to work the rest of our lives. We're ready to travel and break through the mental barriers that our society has placed on us. We're planning our next move ... just hope it's the right one. Wait, what am I saying? The "right" move is going for adventure and having the courage to leave the comforts of work and routine. After all, it's not "comfortable" at all. I'm sure that many cruisers-in-the-making have these same fears and thoughts, except for those financially fortunate. I tell myself this is all part of the crossroads we've finally reached. If we didn't have these thoughts and doubts then we're probably not feeling anything. 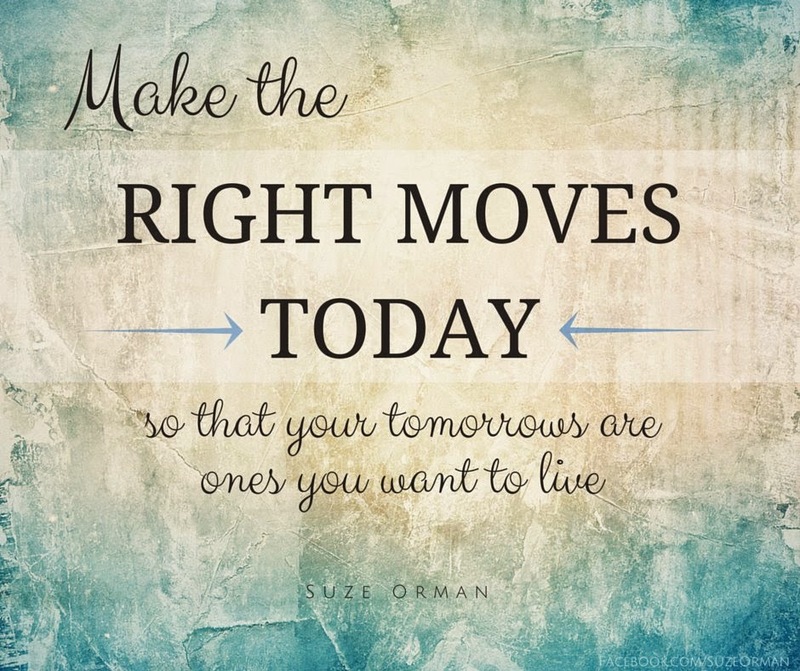 We just wanna make the right moves today, so our tomorrows are ones we want to live ... just like Suze Orman said. Have you had these thoughts? What have you chosen to do to make sure you're not penniless someday? We'd love to hear from you! We did it 6 years ago ,,, cashed up and sailed away. We are still doing it and wouldn`t go back for all the tea in china ! Things have a way of working themselves out , you are obviously savvy enough to have made some good financial choices thus far in your life and you are also thinking ahead so you are already ahead of the game . Where and what to invest in ,,, we all struggle with that My opinion ; at the end of the day go with what you and that you have the most control over . There will be opportunities along the way to make a few bucks if you keep your eyes , ears and mind open. I can sympathize with you completely. We too are in the middle of making the move. Sold our house last year, moved to an apartment. Have sold or given away most of our belongings and are pretty much ready to go. Our cast off time is to be around July 1st. I spend many a sleepless night thinking about whether we are going to have enough money to do this and not drain our life savings. Luckily my husband has a wonderful military pension and we have investments and have made ourselves live frugally for the past couple of years. We are excited about our journey, but must admit there are times that we are both a bit anxious. I think that's to be expected. It sounds to me that you are doing all the right things. Things have a funny way of falling into place at just the right time. I have extremely vivid dreams. For me they usually involve waitressing: I have tons of tables to wait on but I don't know where the kitchen is, I can't find any silverware...total mayhem. I don't sleep well at all and I spend a good deal of my night worrying about EVERYTHING! My parents health, money, the open sea (I'm still afraid to cross the gulf), storms, waves... you name it, I worry about it. Luckily day light helps to get rid of some of these thoughts. It's not up to me to offer advise but I would say to not overload your boat with 'stuff' until you've been aboard for a while. Solar panels are the best investment IMO, but things like water makers (everyone seems to want one) aren't really a necesity even in the Bahams (again, just my opinion). Our generator is a Honda 2000. Hans wanted some big mammoth diesel generator and we are very glad we didn't do it! The nicest thing about sailing is the people you meet. You're a sensible person and you guys will be just fine. I sure do understand letting our minds run away with worry. In my business, I tell people that our minds are sometimes like untrained toddlers who will get into mischief unless we give them something specific to do. So a simple, but now always easy, trick is to use your internal 'mommy is stern' voice to stop the madness inside, and then to focus on the here and now: your nice warm bed, being next to your anchoring husband, that you are just fine right now and the future will unfold as it will. My biggest worry is leaving our home: whether to sell or rent. We are not at the 'it's just a house' place that some people are at. To us, it is our family's root in the soil. So thinking of giving it up hurts our hearts, even though we don't plan to retire in it. Anyhow, this, too, shall pass. We have been here a couple of times in the last year, too. Have you listened to the Sailing Loot podcast yet? It's focused on this question and he has had some great interviews with some current cruising rock stars like s/v Delos and s/v Totem. They all seem to say the same thing: just go and you will figure out how to make it work on the way. It seems that the would-be cruisers spend more time worrying about the money than those who continue to cruise. It's a life style change that is significant but seems more worth it the larger the taste of it we get. I really like the previous comment about people giving up cruising because their boat is too big. Your boat is small; you'll do great. You'll also do great because you know yourselves and your priorities, what you NEED and what you WANT. You understand that there are tradeoffs to living afloat, and you are willing to make them. You've had a long long road to get to this point, you've earned it! I had to comment on what another commenter said about working at West Marine. When we owned our C30, we actually knew a cruiser who was doing just that. He'd live at a marina in Annapolis for months at a time and work at WM there. He got a great employee discount, and of course plenty of opportunities to talk to sailors. You could do this no problem if you needed some extra cash for the cruising kitty. Although we are a ways away from sailing yet, we are using that time to our advantage. 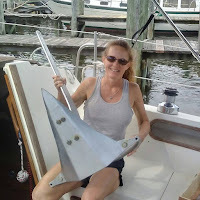 We are between 8 and 10 years away from sailing 8/4 - sailing 8 months, land lubbing 4 months. In that time, we've drawn out a timeline to renovate our home with ultimately selling it to purchase our vessel. Our market it a price-y one, so in 8 years, we should be able to get 600 to 700,000 for our home. Thus the boat, and some put away. In Canada, we have our RRSP's which grow exponentially tax free until you begin to withdraw, but our early heavy contributions will pay off, as they should be worth well over 500,000. THEN... we are fortunate, because my wife works for the provincial gov't which is one of the few "company's" that still have a pension! We count THAT as additional income as icing on the cake. All said and done, we constantly fight the urge to do it all NOW! But we have to wait, because the timeline is what will allow this to work for us... and our sweat equity in this house! Try to sleep well! Your "good" dreams will manifest themselves! 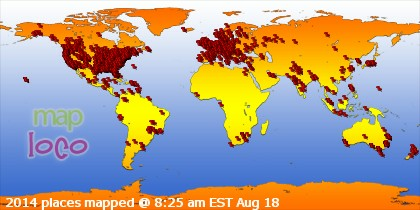 Thanks for all of your comments! We love reading about everyone's situation ... an inspiration. svSmitty, we're not familiar with Sailing Loot so thanks for the heads up! I'll be checking it out soon. Dan n Jaye, we do know the difference between wants and needs ... so we're hoping that will benefit us when we're sailing. Gerry ... sounds like you've got a great plan. No worries there .. congrats! Laura, for some reason I'm not surprised you have similar dreams .. LOL! We agree about not having everything we desire for the boat .. have you been to the boat shows lately?! Anyway, a watermaker won't make it on Nirvana, but solar panels and a generator will. Maybe some sort of fridge or icemaker .. gotta have cold beer!